The Kwara state’s chapter of the All Progressives Congress (APC), has enjoined the newly elected National Chairman of the party, Comrade Adams Oshiomhole and his team to quickly set in motion machineries that would right the so many wrongs bedevilling the party without fear or favour. 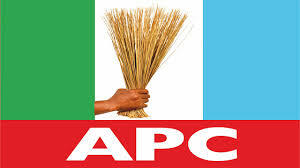 The local chapter noted that the conduct of last Saturday’s APC convention and the drama that heralded it before, during and after the elections have raised a lot of dust that the party leadership must set about to quickly remedy, pointing out that it was only through this that the future and posterity of APC is guaranteed. In a statement signed by its state Publicity Secretary, Sulyman Buhari, the party added that there was the urgent need to restore APC to the default setting of sanity, supremacy and constitutionalism. “A situation where ‘monkeys’ will be toiling day and night at the grassroots mobilising for the party but some ‘baboons’ will be sitting arrogantly in Abuja without lifting a finger and yet dragging party structure with genuine party members should be done with outright. “Finally, we reiterate that the Comrade Adams Oshiomole-led APC is coming at a time of a lot of storm in the party which if not properly handled, and quickly too, it might affect the chances of the party in the next polls,” Kwara APC warned. It, however congratulated both the outgone and new national leadership of the party, President Muhammadu Buhari, Senate President Bukola Saraki, Speaker Yakubu Dogara and all leaders of thought who ensured a hitch-free convention. “We congratulate particularly Mallam Bolaji Abdullahi, the National Publicity Secretary-elect. His re-election by an overwhelming majority of our party members across the 36 states of the federation and Abuja is a testimony to his competence, doggedness and astuteness as our party’s spokesperson. “We urge the winners to be magnanimous in victory. They should embrace and accommodate their co-contestants in the scheme of things, as we all move forward towards nation building,” it stated.